In my email this morning was an announcement from Games Workshop stating that Grey Knights will be released this coming April. 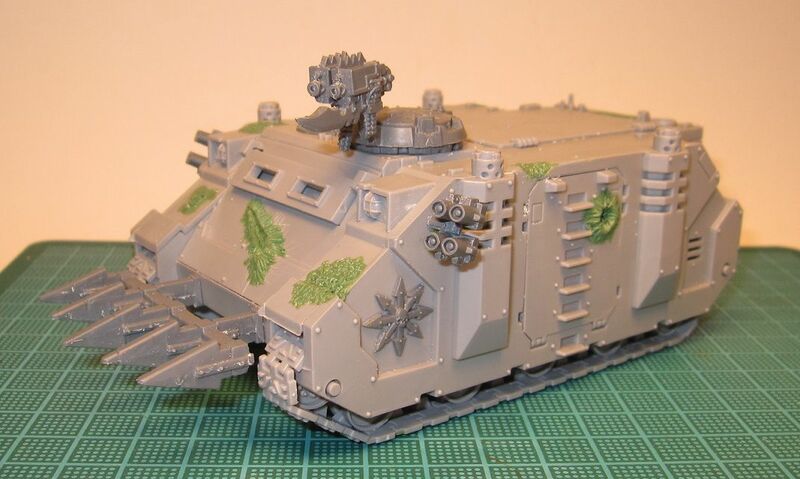 Although I do not list Grey Knights as one of my armies here on my blog, I do have a small GK force that I keep for allying with my Cadian Imperial Guard army (it is listed on my Cadian IG Army page, along with my Sisters of Battle army that I also keep for the same reason). 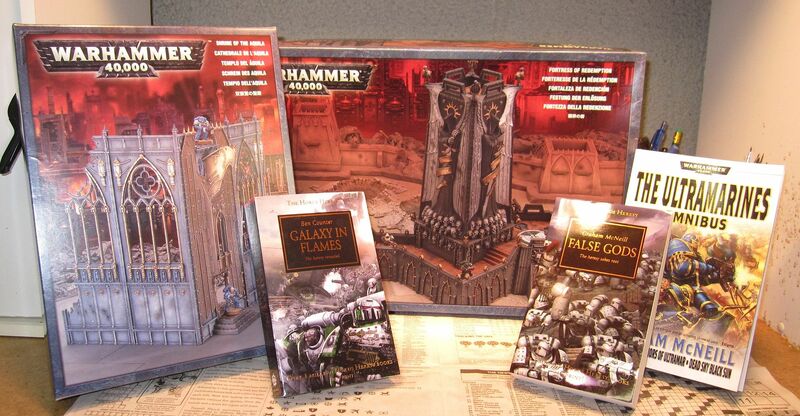 I am anxious to see what the new codex will offer; there have been quite a few juicy rumors on the web the past few months. In April the Grey Knights, an elite and secretive Chapter of Space Marines, will stand ready to fight the forces of Chaos and the horrors of the Warp with new reinforcements. Take a look at the Astronomican today to see the Studio's Incoming! article for more information about the legendary heroes that are the Grey Knights. Here is what I got done fore Period II/ Not a lot of painting, but some. I have spent practically all my free time this weekend building my Period III models and will have pictures of those soon. Period II ends today and although I got everything built, I did not get anything painted. Epic failure #2. Unlike Period I, I did make some painting progress. I will post pictures in my next post. Here is my list for Period III and I am going to do my best to complete this period's projects on time. Last night I finished reading the first book of the Grey Knights Omnibus, Grey Knights, and while I do not want to do a review of the book, I did want to say that I thoroughly enjoyed reading it. I thought it was a very solid story and that the deceit and betrayal weaved by the servants of Tzeentch was well done by the author. It was good to see the author include Sisters of Battle, Adeptus Arbites, and Imperial Guard in the story. This is only the second Black Library book I have read, the first being Horus Rising from the Horus Heresy series. While I am looking forward to reading the other two stories in the Grey Knights Omnibus, I want to get back to reading the Horus Heresy Series first. I got books two and three for Christmas and they have been calling to me. A quick update on the ToFG. First, we lost our Chaos Daemon player, so it is down to four players. Period two ends this Friday and again I am not going to have my units painted. I am still behind, but I am working on getting caught up. I have everything built for period two except my second objective, but I will have that done in time. 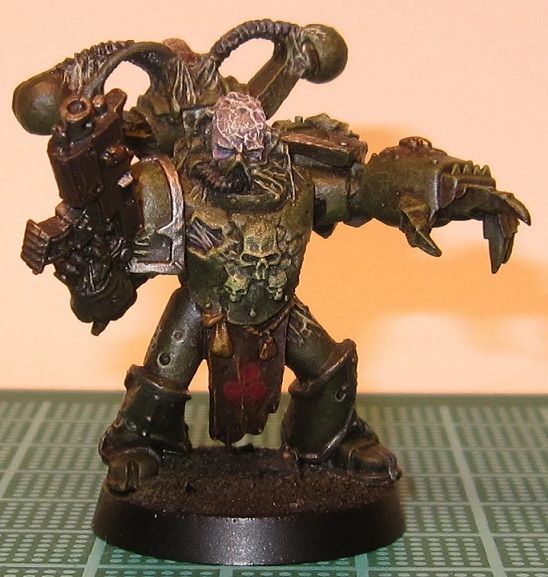 I am working on painting my period one units and here is my first Blightlord Plague Champion. I need to paint his base but I think he is done otherwise. What do you think? Well, the holidays are over and I hope everyone's holidays were as good as mine. My family and I had a great time this year. Now, 2011 is upon us and I am looking forward to life returning to normal in the new year. Last year was a good year for me and my hobby. I completed 22 projects with a total of 71 models (a complete list can be seen here). The majority of it was Orks, but I also got some Nurgle Daemons and a couple Terrain pieces done as well. This was due mostly to the 40kFightClub.com 2010 Painting Challenge that I participated in. I was only able to complete 11 of the 12 months for this challenge; the only to month I did not complete was December. For November's Project, I only made it this far on my Ork Meka Dread, but the powers that be said that it was enough to qualify as being complete. I am going to finish it at some point. For December's project, we were to paint some army themed objectives. I was not sure how many we were to do, so I built five. Unfortunately, I did not get any painting on them done whatsoever as I only got them built last week. I am planning on getting them painted this year. 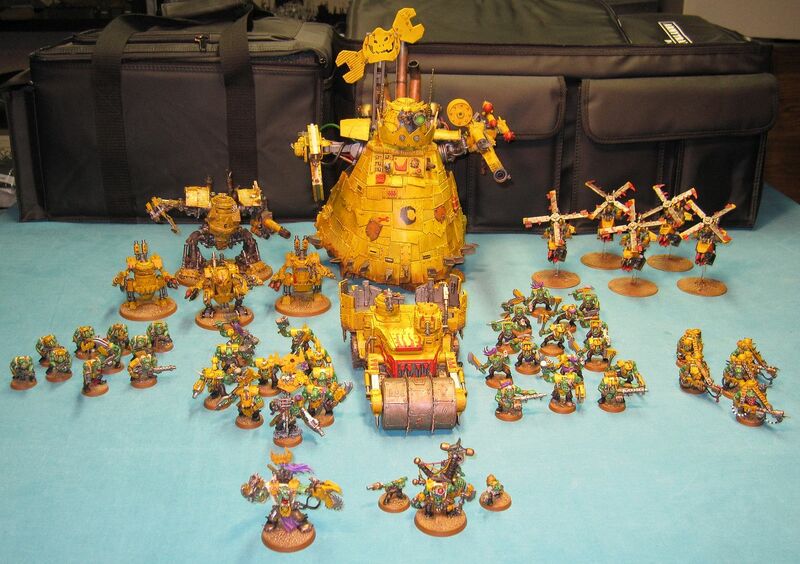 Here is a picture of everything I got painted for the 2010 Painting Challenge. There is a 2011 40kFightClub Painting Challenge and I am participating in it. The rules for this one are the same as last year except you do not have to stick to the same army and there is no schedule of what you have to paint. This year, you may simply paint any unit for any army as long as you paint the minimum unit size. 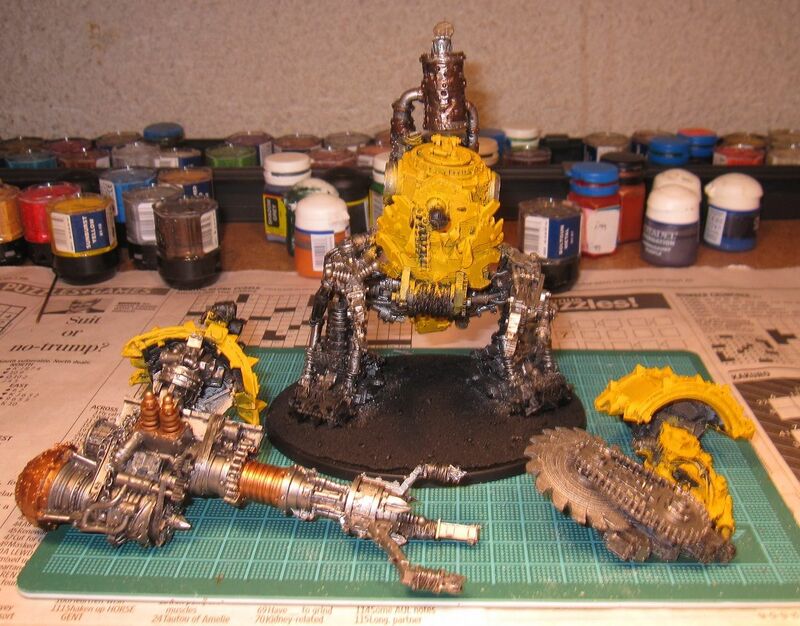 You can also paint other projects, like terrain. 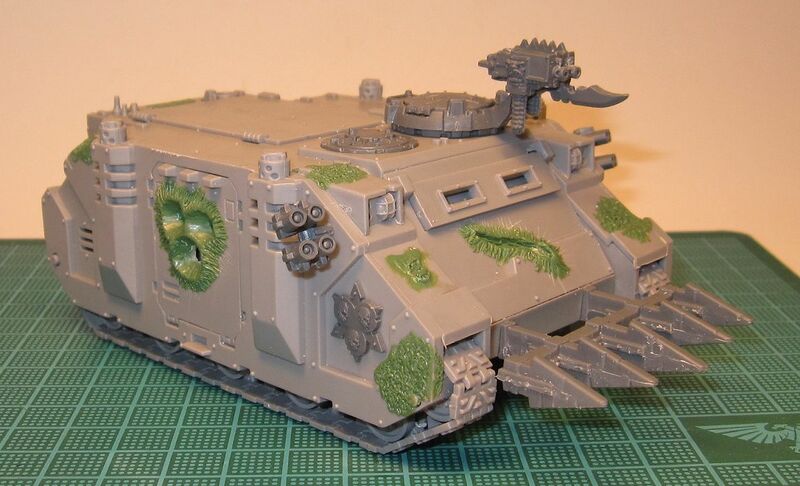 I plan to include projects from all my armies to avoid burnout, like what happened with my Orks last year, and to throw in a couple of terrain projects. My January project is a second Blightlord Winged Daemon Prince. 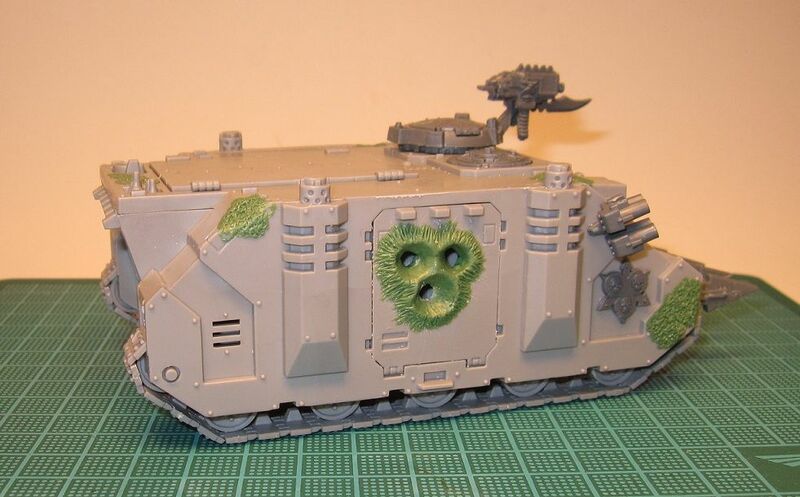 This is a model I built years ago, but never got around to painting it because I could never settle on a CSM Chapter. Now that I have my own, I think it is time to paint him. One last picture before I go, my Christmas loot, which contains two of my future 2011 Painting Challenge Projects.